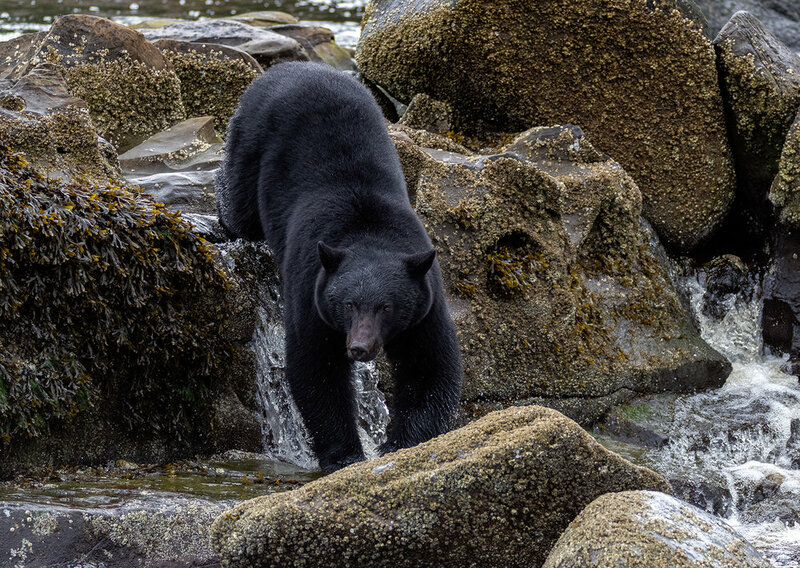 I was lucky enough to be able to make a much needed road trip up to Port Hardy last weekend. 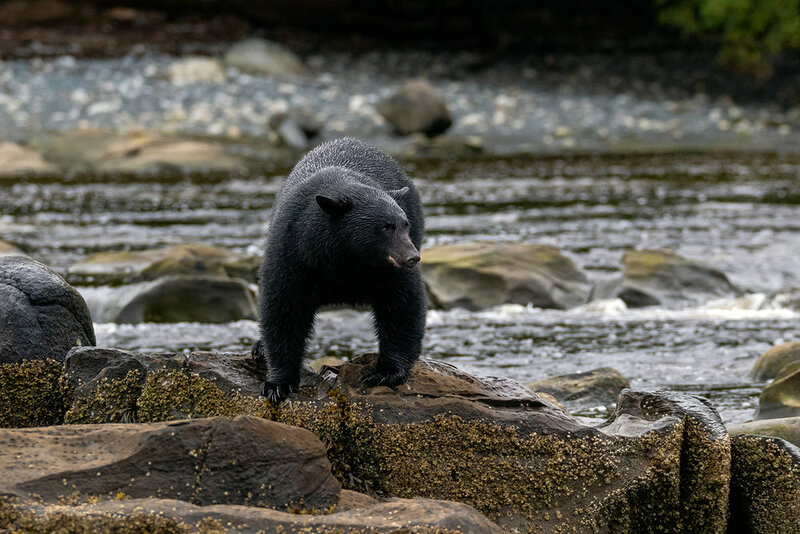 My purpose behind the 6 hour drive was to go photograph the black bears fishing for spawning salmon at the mouth of the Keogh River. All I can say is that it was worth every kilometer I drove! I got a room at the Port Hardy Airport Inn on the Friday night as it is just 5 minutes away from the trail into the Keogh River. I got up early on the Saturday morning and hiked the 2.5 km trail into the river with two friends. 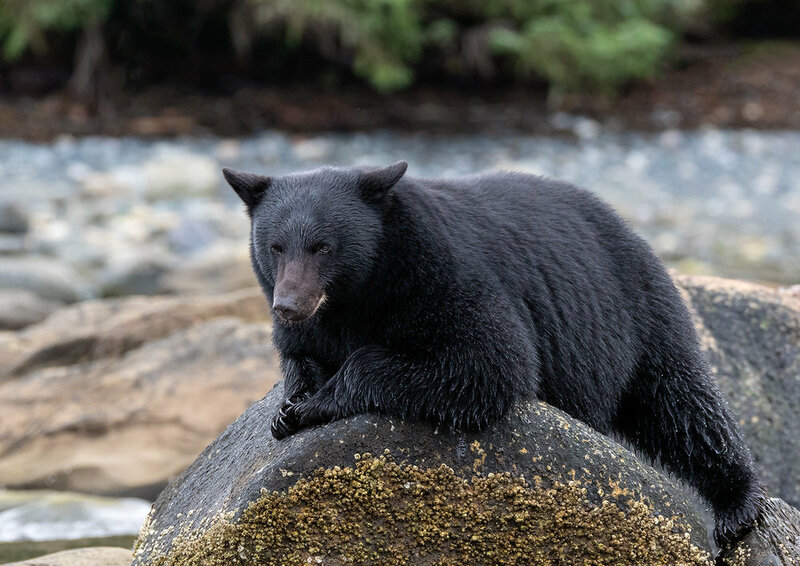 They left around noon to go whale watching in Telegraph Cove and I stayed and spent the full day at the river photographing all the action. 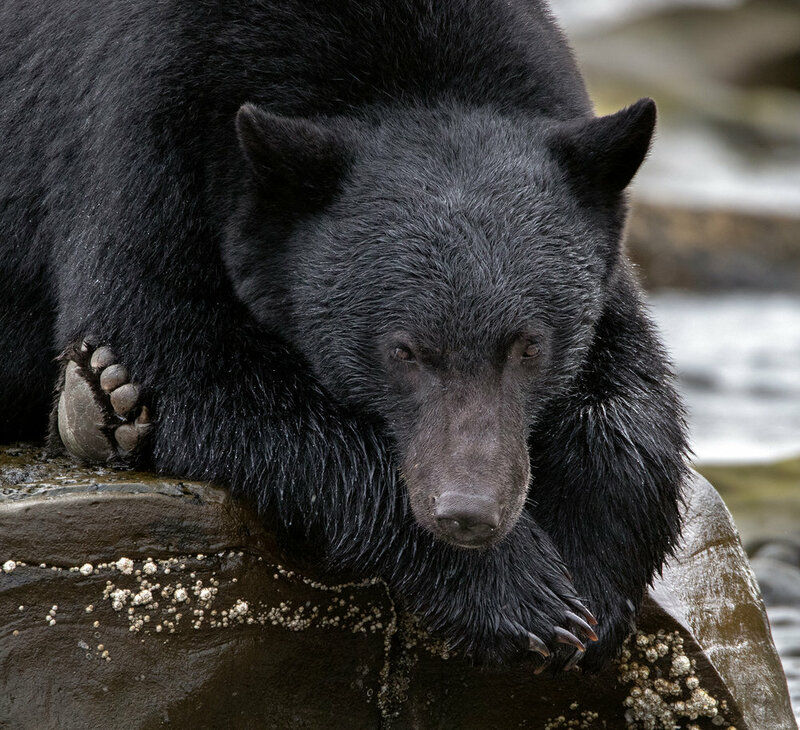 I believe I saw 8 or 9 different bears during the day, including a very emaciated older sow with her cub. 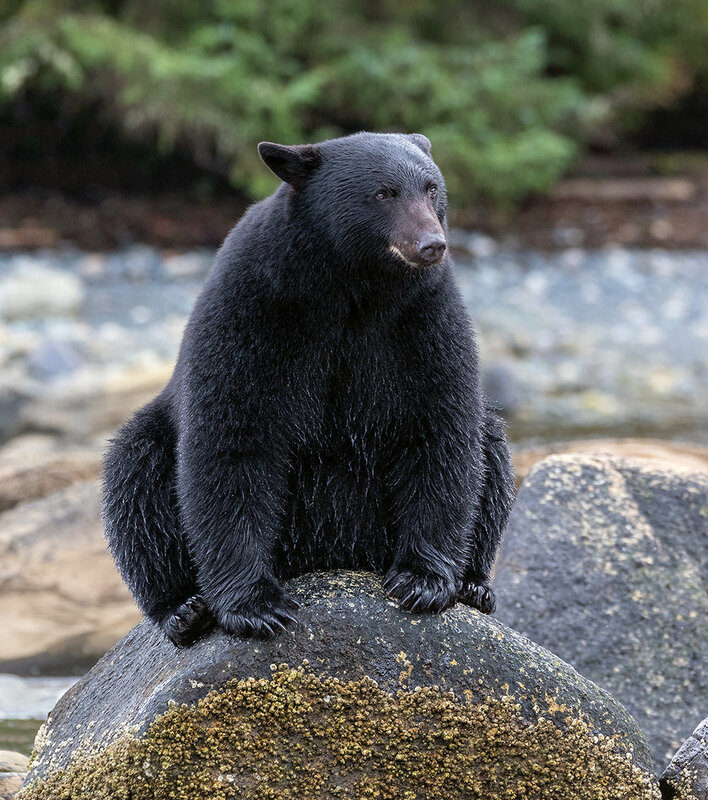 Black bears are not the most proficient hunters of salmon but I did get to see 4 large salmon get caught. The salmon were still very fresh and quite silver. 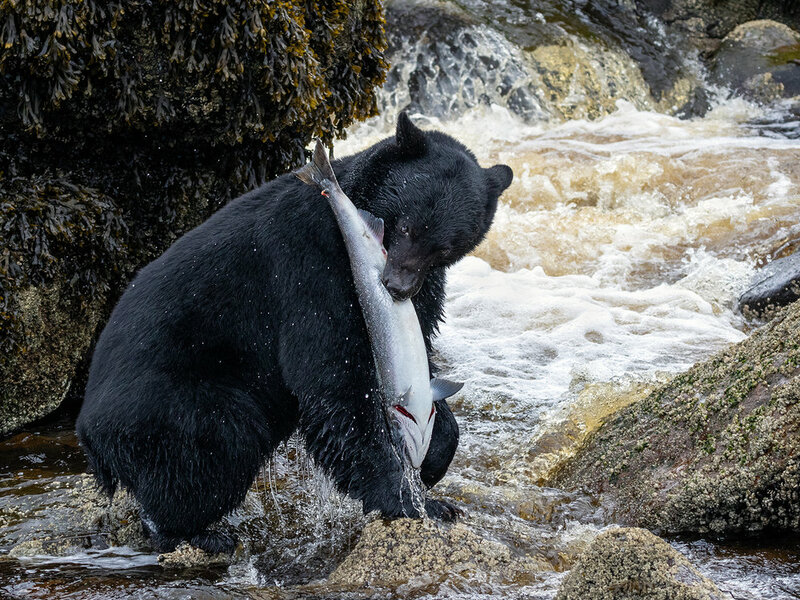 As soon as a bear catches a salmon it heads straight for the bush to eat it in peace. 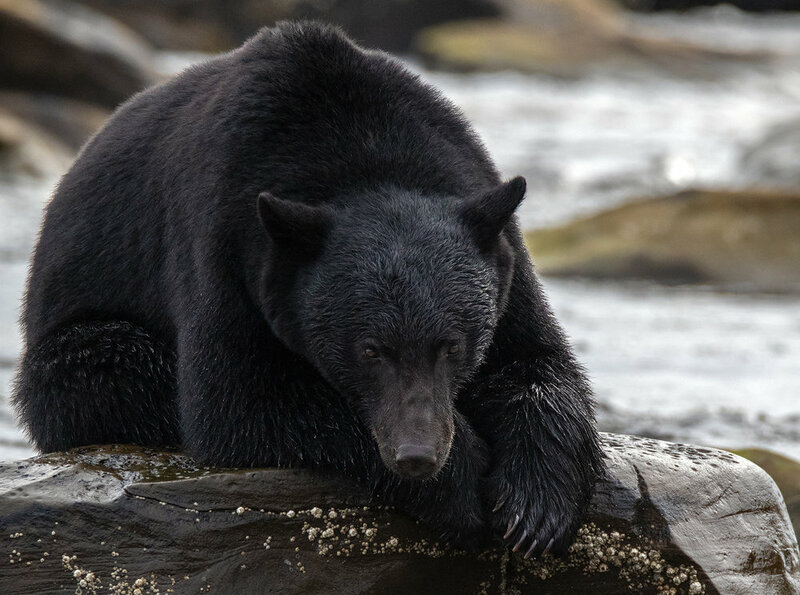 I did see one large male chase another smaller one up the beach trying to take away it’s salmon, so I understand why they want to eat in solitude! I took over 2400 pictures on that beautiful day and these are my favorite images so far.